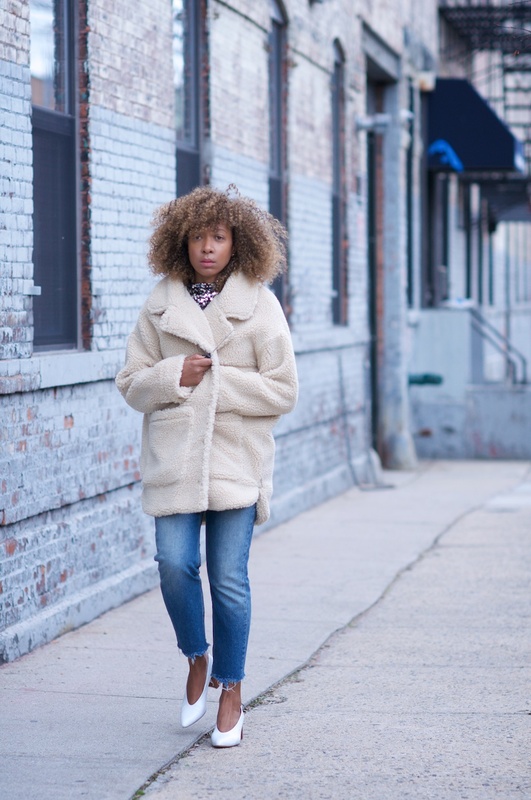 Did you catch my latest YouTube video on how I style three teddy coats three ways? You can check it out (here). 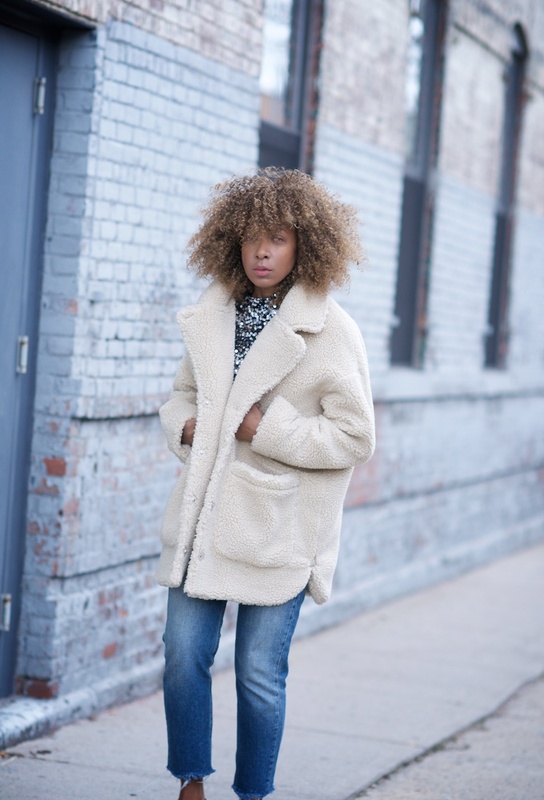 This coat was a rare random find while on Asos’ site a couple of weeks ago. Only size available was large – perfect!! ps. What did you cave on from the Cyber Monday/Black Friday sales? I’d be lying if I said that I didn’t – but you first. I will say though, the noise of sales all week is a bit much. I talk about this subject more on snapchat (karenbritchick). Coat: Monki via Asos. Similar: Kensie teddy coat (on sale) or Planet Blue. Jeans: H&M. Shoes: Zara. I’d get these zebra ones from Topshop because they’re effing fantastic. Also try these white block heels from Office!